Ok, I admit, that first paragraph was mostly an excuse to post that album cover. 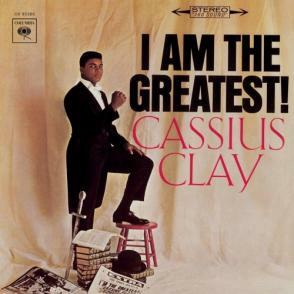 Who knew Cassius Clay had an album of spoken word pieces? Dang. Anyway, where was I? Ah yes, civil disobedience. It can take many forms, but a popular one seems to be gathering a bunch of people in one place, bringing a bunch of signs, and shouting stuff. And that’s fine. It’s good and healthy to let the powers that be know how you feel. I’m just not so sure it makes a difference. How many protests did we see against the Iraq War? How many Tea Parties protested against government healthcare? I’m not sure if the current “Occupy Wall Street” protests are based in a solid philosophy or not. It’s certainly understandable that there is “anger in the streets” so to speak. Corporations are being bailed out with taxpayer money left and right, while unemployment continues to rise and wars rage on. And I’m certain many protesters are out there with legitimate gripes. But some things give me pause. For example, the location. “Wall Street”. Yes, it’s the symbol of the evils of finance and capitalism the world over. But are the traders that work on Wall Street day in and day out really the ones causing these problems? I suspect most of them are hard working individuals trying to do what the rest of us are trying to do – make a living, get by, make things work in this crazy world. And when I see signs like “End Capitalism”, I’m not so sure. Capitalism is merely a system of trading goods in a free market , using capital (i.e. savings) as a means to invest in companies and markets. But it seems that people are mistaking “capitalism” for what is really Corporatism or to use the even scarier term, Fascism. This is when government gets together with big businesss, and essentially keeps profits private for the corporations while keeping the losses public. These terms would be much more appropriate in describing our current system and what those protestors are angry about. All of that $800 billion in bank bailout money is all off the books of those banks, and on the books of every citizen of the United States. But we are in debt, right? So this begs the question: Where did all that money come from? The answer is of course, The Federal Reserve, which is neither “Federal” (it is privately owned and operated, albeit via government decree) nor does it have “reserves” (the money it prints is backed by nothing, as Nixon permanently severed the link between the dollar and gold in 1971). Without the Fed, you can’t have massive bailouts without directly taxing the people. Does anyone think these bailouts would go through if everyone got a bill in the mail for them? Or better yet a government armed tax collector knocking at every door in the country demanding payment for their banker buddies? *Sigh* So there’s work to be done..